Jhatkaa team has started sending out pieces of the 'lungs' in a package to decision-makers, in a bid to open their eyes to the grisly air-pollution situation. 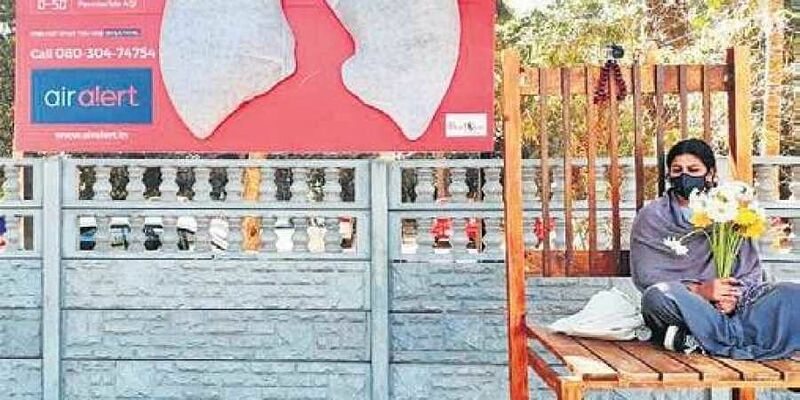 BENGALURU: Back in January, CE reported on a lung-shaped installation that was set up on the busy Old Madras Road by city-based campaigning organisation Jhatkaa.org. The lungs were fit with an air quality monitor that measured pollution levels in real time, and was fitted with a filter — the same kind used in anti-pollution masks. Within a few weeks, the white lung had turned charcoal black, as pollutants such as dust and vehicular emissions had collected in them. Now, the Jhatkaa team has started sending out pieces of the 'lungs' in a package to decision-makers, in a bid to open their eyes to the grisly air-pollution situation. "We cut the HEPA filter (found in air pollution masks) into tiny pieces as evidence, so they can acknowledge how toxic the air we breathe is," says Shikha Kumar from Jhatkaa, adding that similar 'lungs' will be installed in Delhi soon. "The package we're sending out includes a little note warning people that this damage could happen inside you in the next three years. A recent report indicated that the number of non-smokers developing lung cancer is on the rise — air pollution affects everyone. For now, we've sent out the package to Ministry of Environment, State and Central Pollution Control Boards and to the PM."